Along with the game appearing to not be completely finished yet, the community has been very vocal that they have had a number of issues with the game crashing, so if you are planning on jumping in with up to three friends, it may be best to wait a bit and let the technical issues get ironed out first. In the meantime, you can watch the launch trailer that was quietly dropped alongside the game. 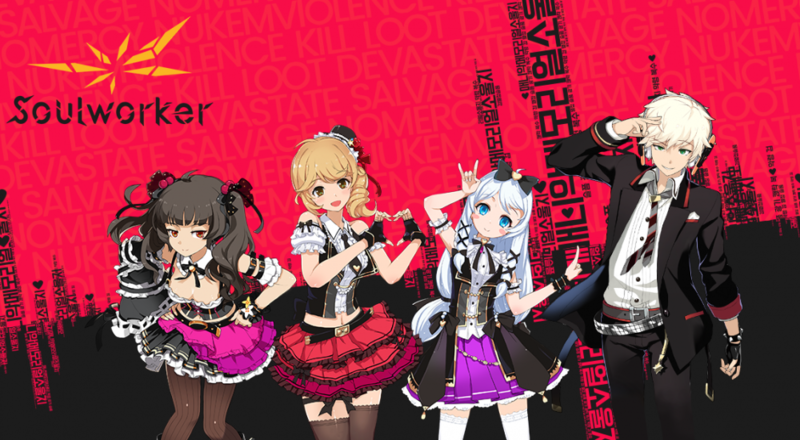 SoulWorker appears to lift a number of tropes from anime (musical instruments as weapons, teeny-boppers with a vengeance, emotional male leads, etc.) and its stylized combat looks reminiscent of action titles like Devil May Cry. However, the actual gameplay appears to have more in common with the action in a Dynasty Warriors game, with an artistic direction that feels more like Soul Eater. All of this could easily end up feeling like a generic Free-To-Play title with lots of purchasable content. Whether or not that is the fate of SoulWorker (seriously, that has to be in the top 5 worst names for a new IP) is yet to be seen. Will you be jumping in on this unexpected title, or have you settled in on playing other games to end out the winter blues? Let us know in the comments below! Page created in 1.4566 seconds.